The Third Battle of Panipat took place on 14 January 1761, at Panipat, about 60 miles north of Delhi between Maratha and the King of Afghanistan, Ahmad Shah Abdali, supported by two Indian Muslim allies—the Rohilla Pathans of the Ganga-Jamuna Doab, and Shuja-ud-Daula, the Nawab of Awadh. The battle is considered one of the largest and bloodiest fought in the 18th century with the largest number of fatalities in a single day. The Marathas, under the command of Sadashiv Rao Bhau, responded to Afghan invasion by gathering an army of between 45,000–60,000, which was accompanied by roughly 100,000 non-combatants, a number of whom were family members desirous of making pilgrimages to Hindu holy sites in northern India. The forces led by Ahmad Shah Durrani (Abdali) came out victorious after destroying several Maratha flanks. Most of Maratha leaders like Vilas Rao Bhau, Sadashiv Rao Bhau, Jankoji Scindhia, and Ibrahim Gardi were killed in the battle while the Holker escaped to the safety of Gwalior. The extent of the losses on both sides is heavily disputed by historians, but it is believed that between 60,000–70,000 were killed in fighting, while the numbers of injured and prisoners taken vary considerably. The main reason for the failure of the Marathas was that they went to war without any allies. They could have received support from Rajputs, Jaats and Sikhs, but none of them supported Marathas in the battle. The Marathas had interfered in the internal affairs of the Rajput states (present-day Rajasthan) and levied heavy taxes and huge fines on them. Their raids in the Jat territory had resulted in the loss of trust of Jat chiefs like Suraj Mal. According to an assessment, the Sikhs were ever ready to co-operate with the Marathas, but Marathas had treated Sikhs, who assisted them earlier in their north-west conquest against Afghans as a non-entity in Punjab affairs.This was because of the flawed diplomacy on the part of Marathas in not recognizing the strategic potential of Sikhs. The Maratha army was also burdened with over 100,000 pilgrims who wished to worship at Hindu places of worship like Mathura, Hardwar, Kashi, etc. Apart from just fighting the battle, the Maratha troops had the responsibility to protect the non-combatants from Afghans. That was the reason why Marathas suffered heavy losses even after the battle. They could not retreat quickly as they were to protect the non-combatants who were accompanying them. The Afghan cavalry and pikemen ran wild through the streets of Panipat, killing tens of thousands of Maratha soldiers and civilians.The women and children seeking refuge in streets of Panipat were hounded back in Afghan camps as slaves. Children over 14 were beheaded before their own mothers and sisters. Afghan officers who had lost their kin in battle were permitted to carry out massacres of 'infidel' Hindus the next day also, in Panipat and the surrounding area.They arranged victory mounds of severed heads outside their camps. According to the eye-witness chronicles, about 40,000 Maratha prisoners were slaughtered in cold blood the day after the battle. The unhappy prisoners were paraded in long lines, given a little parched grain and a drink of water, and beheaded... and the women and children who survived were driven off as slaves - twenty-two thousand, many of them of the highest rank in the land. In April 1761, Abdali was returning triumphant having destroyed Maratha power at the third battle of Panipat. His booty included 22,000 Hindu women being taken to Afghanistan to be sold into slavery. On the way they were to be used by the Afghan soldiers to satisfy their lust. 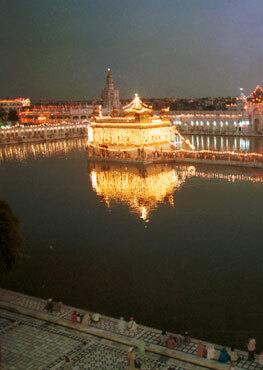 So far, the Sikhs had watched this theater from a distance by not taking any sides in this battle. 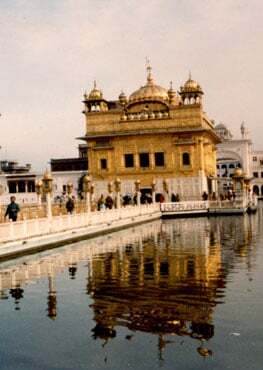 The Sikhs were at Sarbat Khalksa, their bi-annual meeting at Amritsar when the relatives of the women pleaded for help. They heard of the slaughter of innocent, rapes of women, and capture of more than twenty thousands Maratha women by the afghans. They heard of the fate of their country's daughters being driven away as Abdali's bounty. Their ire was aroused. All the Khalsa Misls got together and passed a resolution that Abdali is taking Indian women as slaves to his country after plundering the city of Panipat and they will free all the slaves. Organizing themselves in small bands, the Sikhs decided to attack the rear of Abdali's army carrying the Indian women as captives. Jassa Singh led the a volunteer force and caught up with the Afghans at the River Sutlej at Goindwal. The Afghans were dismayed at the swiftness and ferocity of Sikh attack. Before they could gather themselves to counter the attack, the Sikhs rescued the Maratha women and carried away much of Abdali's booty. The Sikhs rescued many Maratha women who were being carried off to Afghanistan as slaves. Many widows were not accepted back by their families and instead married Sikh soldiers. This action of Sikh Misls required great audacity, swift and faultless execution and a complete indifference to danger. Jassa Singh became a household name in north India for his heroics and was appointed as the "Jathedar" of all Misls at the next Sarbat Khalsa. Abdali reached the safety of Kabul with a bruised ego and a broken nose. He had to wear a silver mask for the rest of his life to cover his severed nose. He came back to Punjab to avenge this humiliation and massacred thousands of Sikhs and destroyed Harmander Sahib, Amritsar. Sikhs rose again and liberated the Harmander Sahib, hounding Abdali back to his rat hole in Afghanistan.